Here's my latest Mind and Matter column in the Wall Street Journal, with added links and charts. On interglacials. The entire 10,000-year history of civilization has happened in an unusually warm interlude in the Earth's recent history. 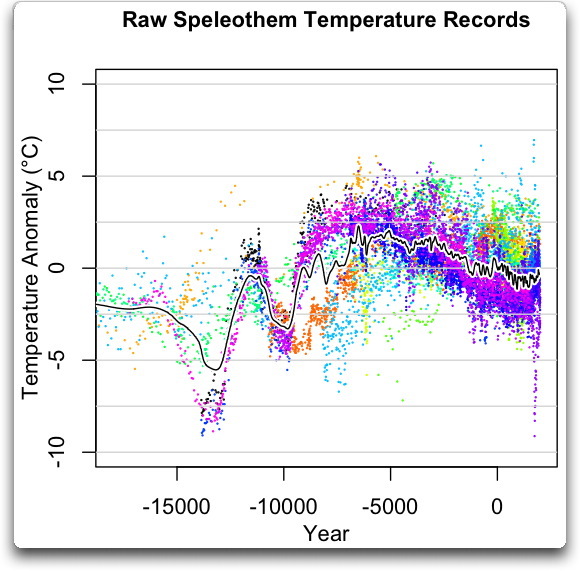 Over the past million years, it has been as warm as this or warmer for less than 10% of the time, during 11 brief episodes known as interglacial periods. One theory holds that agriculture and dense settlement were impossible in the volatile, generally dry and carbon-dioxide-starved climates of the ice age, when crop plants would have grown more slowly and unpredictably even in warmer regions. Still, it's striking that most interglacials begin with an abrupt warming, peak sharply, then begin a gradual descent into cooler conditions before plunging rather more rapidly toward the freezer. The last interglacial-which occurred 135,000 to 115,000 years ago (named the Eemian period after a Dutch river near which the fossils of warmth-loving shell creatures of that age were found)-saw temperatures slide erratically downward by about two degrees Celsius between 127,000 and 120,000 years ago, before a sharper fall began. See charts here and here. Cyclical changes in the earth's orbit probably weakened sunlight in the northern hemisphere summer and thus caused this slow cooling. Since the northern hemisphere is mostly land, this change in the sun's strength meant gradually increased snow and ice cover, which in turn reflected light back into space. This would have further cooled the air and, gradually, the ocean too. Carbon-dioxide levels did not begin to fall much until about 112,000 years ago, as the cooling sea absorbed more of the gas. An erratic decline in temperature followed, with Minoan, Roman and Medieval warm periods peaking at successively lower temperatures, culminating in the exceptionally cool centuries of the "Little Ice Age" between 1550 and 1850, when glaciers advanced all over the world. In the Greenland ice cores, these centuries stand out as the longest and most consistent cold spell of the current interglacial. In other words, our own interglacial period has followed previous ones in having an abrupt beginning and a sharp peak, followed by slow cooling. The question is whether recent warming is a temporary blip before the expected drift into glacial conditions, or whether humankind's impact on the atmosphere has now reversed the cooling trend.